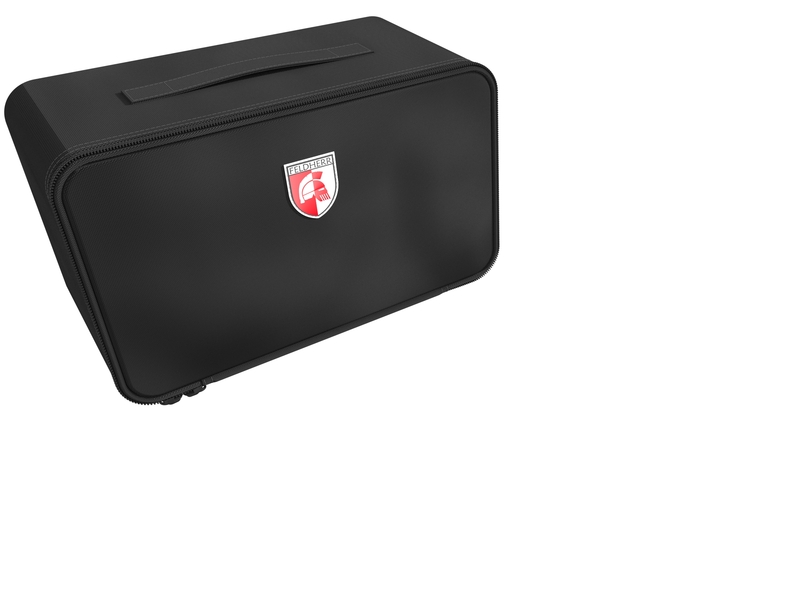 The practical MINI PLUS bag for storing and transporting your army's infantry troops. It is perfectly suited for many Games Workshop models on 32 mm base from Warhammer 40.000, Age of Sigmar, Middle-Earth or Blood Bowl. Warriors, heroes and monsters of other tabletop and board game systems will find a safe home here as well. 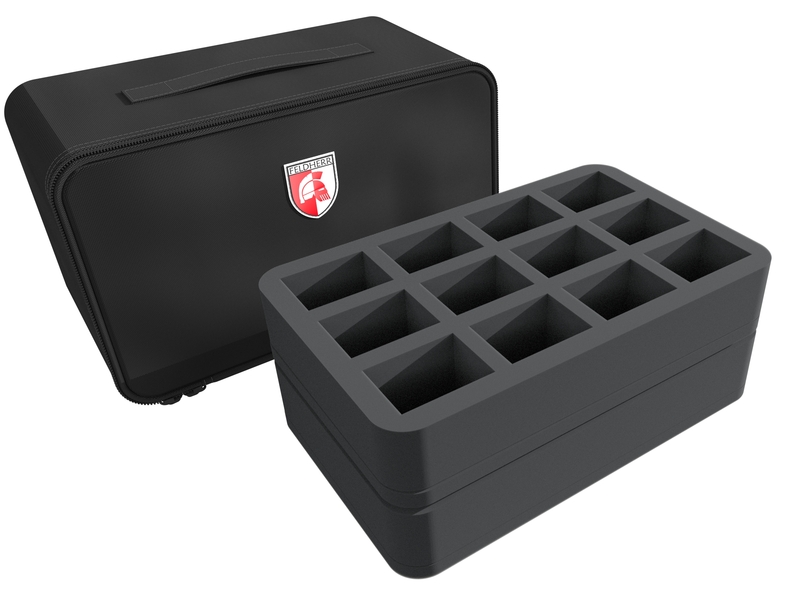 It offers space for up to 32 miniatures. 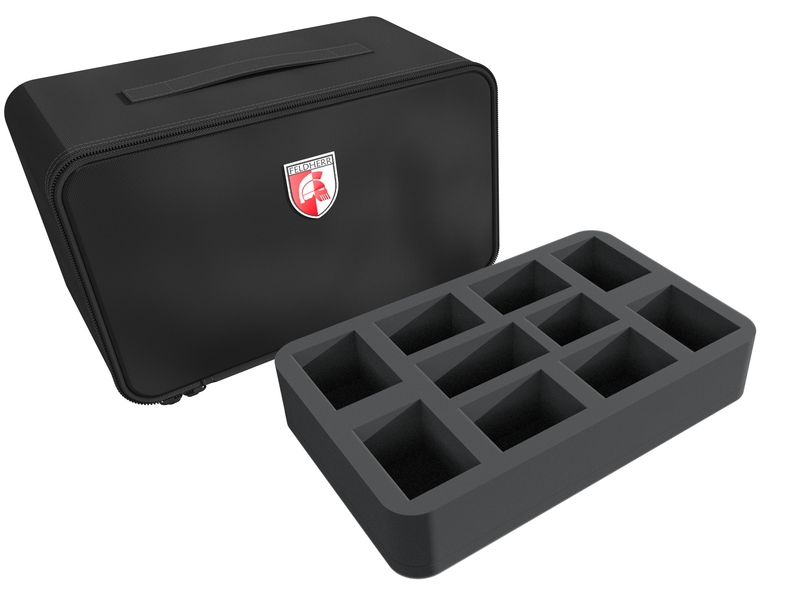 Alternatively, the compartments can also be used to store game materials such as tokens, markers and dice. 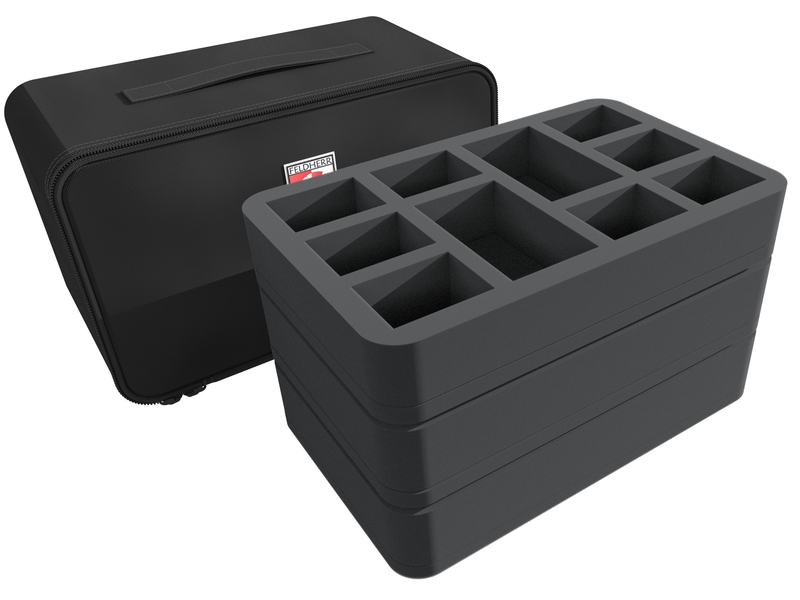 Each of the 12 compartments is 54 mm long x 41 mm wide x 40 mm deep. The fine-pored foam protects your figures optimally from damages. Even with painted models, you can be sure that the colours remain unharmed. Of course, these inserts fit exactly into the sturdy MINI PLUS bag. This is made of particularly hard-wearing material and ensures that the figures are optimally protected from external influences. There is a carrying handle on the top. Additional space for storing writing materials, cards and other small items is provided by a meshed pocket with a zipper on the inside. A transparent compartment on the outside of the bag can accommodate a label for your name or content. For the all-round protection of your models, we also supply a matching foam topper, which you place on the top foam tray so that the miniatures do not fall out of the mat or rub against the fabric of the bags on the way.